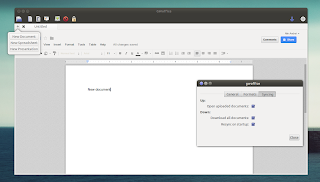 Since, like the name says, this is an office application, it only syncs documents and doesn't work with other file types, at least not for now. 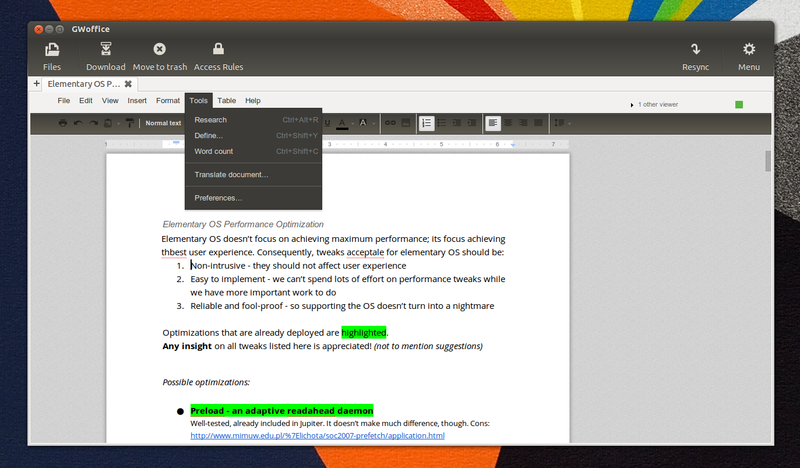 The application comes with a beautiful, clean GTK interface, supports HUD and comes with Unity badge and progress bar support as well as quicklists that lets you easily create new documents. Furthermore, the editor is themed according to your current GTK theme. 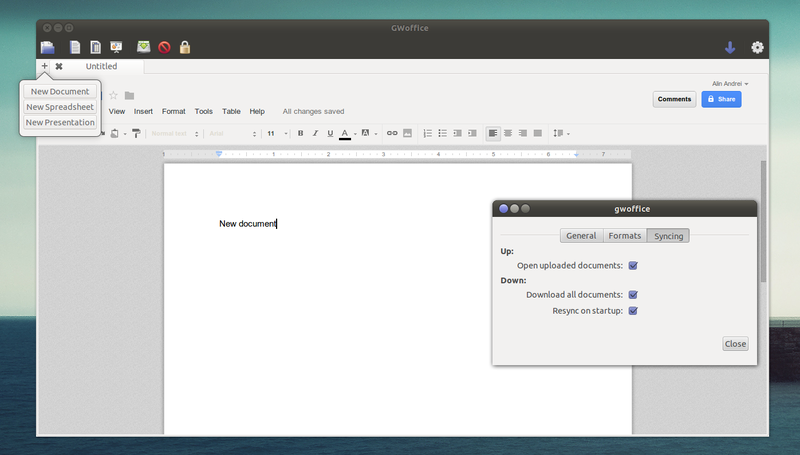 There's also Unity drag and drop upload support (drag and drop files onto the GWoffice Unity launcher icon to upload them), which for for now doesn't support all file types (document files like .odt, ods, xls and .doc should work for example) because according to its developer, the application is written for the Ubuntu App Showdown contest and it's only allowed to use packages available in the Ubuntu 12.04 official repositories, and a newer version of libgdata is needed for a fully working upload system. 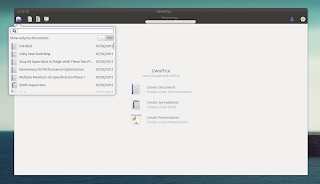 From its preferences, you can choose to download all documents automatically and resync on startup - the downloaded Google Drive files will be saved in the "gwoffice" folder in your home directory.